Vintage Floral Apron Only $4.90 + FREE Shipping! You are here: Home / Great Deals / Amazon Deals / Vintage Floral Apron Only $4.90 + FREE Shipping! Need a new apron and like the vintage look? Then, you’re going to LOVE this deal! 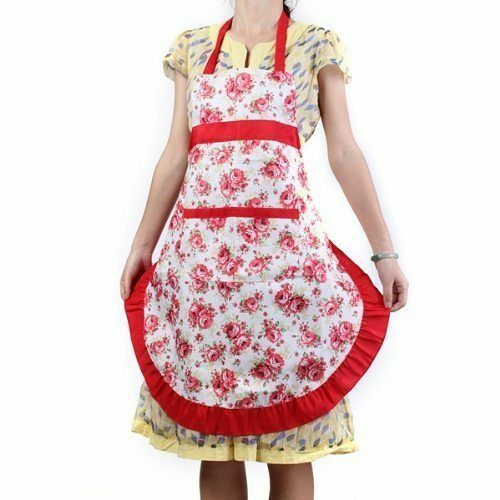 Grab this Vintage Floral Apron for just $4.90 + FREE shipping! It has a rose pattern and a cute ruffled edge. Plus, you can’t beat that price or the FREE shipping!